While it might seem that the most prevalent adventure travel trend nowadays is wrestling your backpack into increasingly rare overhead bin space, there are plenty more appealing developments on the horizon. 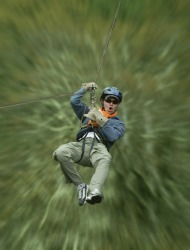 Here, a few trends of note for adventure travelers in 2011 and beyond. Authentic experiences. "Experiential" travel is the buzzword that tour operators and outfitters are currently using to describe what true adventurers have been doing for decades: experiencing a destination like a local. The bad news about this trend: There are unprecedented numbers of travelers doing it (upping the chances that you'll meet a fellow countryman, say, on a remote outback trail, which tends to be a bit disappointing when you're after something truly unique). The good news: Operators and outfitters are developing trips based on authentic experiences, whether that means trekking with tribal nomads in the Sahara or learning to cook spaghetti Bolognese with a local chef in Bologna. Sustainable outfitter WildChina (www.wildchina.com), based in Beijing, has been focused on creating such adventures for its clients since 2000, with local guides and experts anchoring trips. The company recently added Songtsam Circuit: Secrets of Shangri-La to its offerings, and the trip focuses on the country's far-flung Yunnan Province in the eastern tip of the Himalayas (pictured above at right). The itinerary promises immersion among "pockets of hidden ethnic cultures," and excursions include guided hikes to holy Mt. Kawagebo and meditation with a Tibetan master. Extreme adventures. With the boom in adventure travel, unexplored frontiers and previously unheard of experiences are harder and harder to come by these days. Sky-diving around Mount Everest, skiing down K2, wingsuit-flying in the Alps? If you can think of it, you can bet there's an adrenaline junkie thinking of doing it – and an outfitter thinking of ways to make a trip out of it. One far-flung horizon that's still extreme but now within easier reach (and will nevertheless give you travel bragging rights): Antarctica. 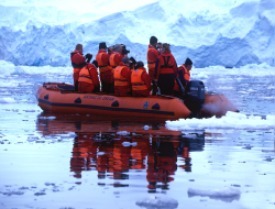 Yes, you'll have to shell out a few Ks and several travel days just to get there, but the rewards – up-close encounters with majestic icebergs, leopard seals, and humpback whales are just a few – make Antarctica a worthy destination on any adventurer's bucket list. Voluntourism. Volunteer-based travel is adventurous by its very nature: You'll often find yourself working amongst nature and wildlife, alongside locals, or in precarious, demanding conditions by day, and bedding down in no-frills digs by night. As more travelers are discovering the crossover between adrenaline and altruism, tour operators are crafting trips that appeal to travelers' hearts and their adventurous spirit. Some trips center specifically on a volunteer initiative or project, while other tour operators are including a volunteer component, like spending a day in an orphanage, within their itineraries. Adventure Life, a highly regarded Missoula, Mont.-based outfitter, is just one tour operator that has incorporated volunteer-based travel into its offerings. The recently added Cotopaxi Conservation Project is a five-day trip that takes place in Ecuador's Condor Biosphere, a 5.4-million acre conservation area. The trip does an excellent job of combining excursions like mountain biking, horseback riding, and zip-lining (pictured at left) with conservation efforts, including trail and park maintenance. More value-oriented extras. Hotel or lodging upgrades, add-on excursions before or after the trip, travel to countries where the dollar is still strong: Today's savvy adventurer is looking out for such budget-friendly bonuses, and therefore, more outfitters are adding them. 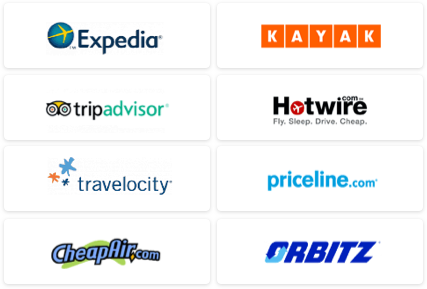 With travel websites (like this one!) 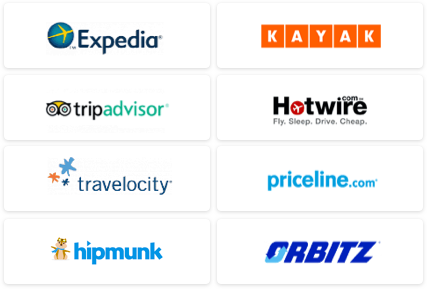 continuing to expand their offerings, and social media still on Mach-speed, travelers will also be keeping their laser focus on securing good deals and discounts. However, many of those mean last-minute trips: Which means you should always have your backpack packed and ready to go. Check out other great offers with our Sports & Adventure Travel Deals.